Anticipated Tax Reforms and Temporary Tax Cuts: A General Equilibrium Analysis (with Timo Trimborn), Journal of Economic Dynamics and Control, 2010, Vol. 34, 2141-2158. [paper]. Should Continued Family Firms Face Lower Taxes Than Other Estates? (with Volker Grossmann), Journal of Public Economics, 2010, Vol. 94, 81-101.[paper]. Taxation, Growth, and Welfare: Dynamic Effects of Estonia´s 2000 Income Tax Act (with Michael Funke), Finish Economic papers, 2006, Vol. 19, 25-38. 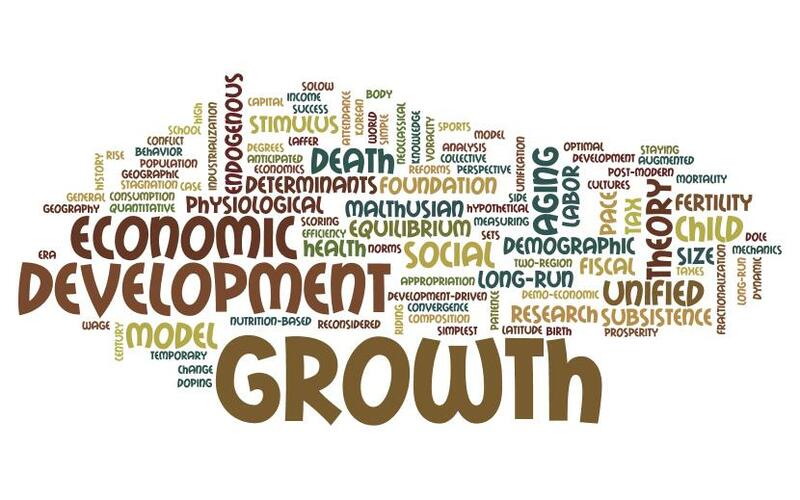 The Role of Human Capital and Population Growth in R &D-Based Models of Economic Growth, Review of International Economics, 2005, Vol. 13, 129-145. Economic Growth and Stagnation with Endogenous Health and Fertility, Journal of Population Economics, 2004, Vol. 17, 433-453. Child Labor, Child Mortality, and Economic Development, Economic Journal, 2004, Vol. 114, 547-568. A Simple and Intuitive Method to Solve Small Rational Expectations Models (with Martin Brunner), Journal of Economics, 2004, Vol. 82, 71-88. Why Not Africa? -- Growth and Welfare Effects of Secure Property Rights (with Ines Lindner), Public Choice, 2004, Vol. 120, 143-167, 2004. Distributive Politics and Economic Growth: The Markovian Stackelberg Solution (with Ines Lindner), Economic Theory, 2004, Vol. 23(2), 439-444. Capital Tax Reform, Corporate Finance, and Economic Growth and Welfare, Journal of Economic Dynamics and Control, 2003, Vol. 28, 595-615. Mortality, the Trade-off Between Child Quality and Quantity, and Demoeconomic Development, Metroeconomica, 2003, Vol. 54, 499-520. Supply Side Economics of Germany´s Year 2000 Tax Reform: A Quantitative Assessment, German Economic Review, 2003, Vol. 4, 183-203. Tracing the Income-Fertility Nexus: Nonparametric Estimates for a Panel of Countries (with Sikandar Siddiqui), Economics Bulletin, 2002, Vol. 15(1), 1-9. Solution of Perfect Foresight Saddlepoint Problems: A Simple Method and Applications (with Martin Brunner), Journal of Economic Dynamics and Control, 2002, Vol. 26, 737-753. Fiscal Policy Reforms in a Global Economy, International Tax and Public Finance, 2002, Vol. 9, 71-89. Growth and Convergence in a Two-Region Model of Unified Germany (with Michael Funke), German Economic Review, 2000, Vol. 1, 363-384. On Demographic Transition, Structural Change, and Economic Growth and Stagnation, Mathematical Population Studies, 2000, Vol. 8, 333-356. Demographic Transition, Stagnation, and Demoeconomic Cycles in a Model for the Less Developed Economy, Journal of Macroeconomics, 1999, Vol. 21, 397-413. Capital Structure and Labour Demand: Investigations Using German Micro Data (with Michael Funke and Wolf Maurer), Oxford Bulletin of Economics and Statistics, 1999, Vol. 61, 199-215. Regional Growth in West Germany: Convergence or Divergence? (with Michael Funke), Economic Modelling, 1999, Vol. 16, 489-502. The Employment - Financing Nexus: Evidence From a Panel of West German Firms (with Michael Funke, Wolf Maurer and Sikandar Siddiqui), Journal of Small Business Economics, 1998, Vol. 11, 225-235. Investment Under Financial Constraints: Theory and Tests with West German Micro Data (with Michael Funke, Wolf Maurer and Sikandar Siddiqui), Ifo Studien, 1998, Vol. 44, 291-306. Learning-by-Doing, Population Pressure, and the Theory of Demographic Transition, Journal of Population Economics, 1997, Vol. 10, 285-298. Repetitorium Mikroökonomik [Refresher Course Microeconomics](with Thomas Gries and Gernot Sieg), Springer: Berlin, Heidelberg, New York, 1996.